The 1st ordinary conference session of the Anarchist Federation took place in Athens during the 19th and 20th of May 2018, following the January 2018 publication of the review of the Federation’s progress up to that point (anarchist-federation.gr/archives/1743). Two and a half years after its establishment, the experimental period of the A.F.’s functioning has been completed and we are now entering a new phase. A phase expected to be marked not only by the organizational and political growth of the A.F. itself, but, what is more, by the reconstruction of the anarchist and the wider social-class movement and the growth of the social and class struggles, which are currently in a state of considerable retreat. The conference was attended by invited collectivities and comrades from Thessaly, the Peloponnese, Thessaloniki and Athens. Greetings and/or political positions were sent by: Fab (Bulgaria), Fédération Anarchiste (France), Federação Anarquista Cabana (Brazil), Anarchist Communist Group (Great Britain), Socialist League (Great Britain), União Popular Anarquista (Brazil), as well as by a multiplicity of collectivities from Rethymno, Chania, Patras, Cephalonia, Xanthi and Thessaloniki. The first day of the conference was devoted to the completion and validation of the changes made on the A.F.’s charter, where there were made decisions regarding: a) modifications in the A.F.’s manner of functioning, b) the finalization of the form in which individuals can participate in the regional collectives of the A.F., and c) the way in which individuals living in regions where there aren’t any anarchist collectivises can be associated with the A.F. Moreover, there also took place discussions aimed to enrich our positions on the issues of class, gender, use of substances, and imperialism. The relevant positions of the A.F. member collectivities are posted on its website. Though not publicly announced or open, during this first day the invited collectivities and individuals were able to attend and express their viewpoints on the themes under discussion. The dialogue on the themes was rich and its results are going to be published in the following days. anarchist portal that can be run by both members and non members of the A.F., aspiring to be the starting point for a unified revolutionary anarchist digital intervention. In the very near future –and together with the comrades who declared their interest in joining the endeavour–we are going to take the necessary initiatives for the realisation of the portal. The second day went on with the discussion of the theme entitled “The current conjuncture in a period where there is a decline in social struggles under the governance of SYRIZA-ANEL, the political reconstruction and the response of the anarchist movement”. After the presentation of the positions of the A.F.’s collectivities, there followed a discussion with questions and statements of viewpoints. The Anarchist Federation will try to make good use of the discussion and the political reasoning(s) that will be developed as the starting point, as the raw material and the moving force for the specification of its political priorities in its political agenda and in its presence on the movement following the completion of this conference. Perceiving ourselves as an inseparable part of the anarchist movement, we opted for the procedures of the conference to constitute a field of dialogue and fermentation with collectivities and comrades that do not participate in the A.F., hoping to contribute to the creation of a background of joint configuration and mutual respect. Undoubtedly, conferences constitute important milestones in the progression of political organizations, but if they are not accompanied by political action and revolutionary praxis, then they are void of meaning. In the current circumstances, where the assault of the state and capital against the exploited and the oppressed continues with undiminished intensity, where the clouds of war are thickening, where the movements do not seem –for the time being– to be able to significantly influence the course of things, all of us ought to overcome ourselves, to organize and walk together, as this is the one and only route if we really want to get rid of the old world of power and authority and create the new world of freedom and equality. 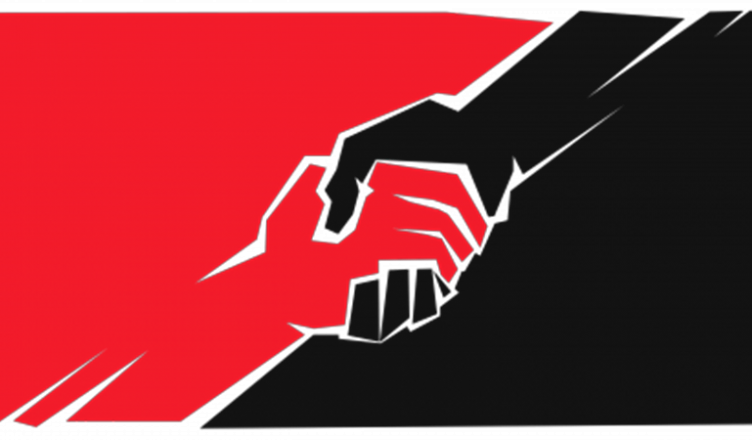 Organization and Struggle for the Social Revolution, for Libertarian Communism, for Anarchy.